"Brikciusová Na Prádle - Labyrint"
You are invited to the poetry reading "Brikciusová Na Prádle - Labyrint", from the work of Anna Brikciusová in the interpretation of Jan Židlický and accompaniment of cellist Anna Brikciusová, held on Saturday 16th November 2013, 6pm, at the kostel sv. Jana Křtitele Na Prádle (Říční ul. 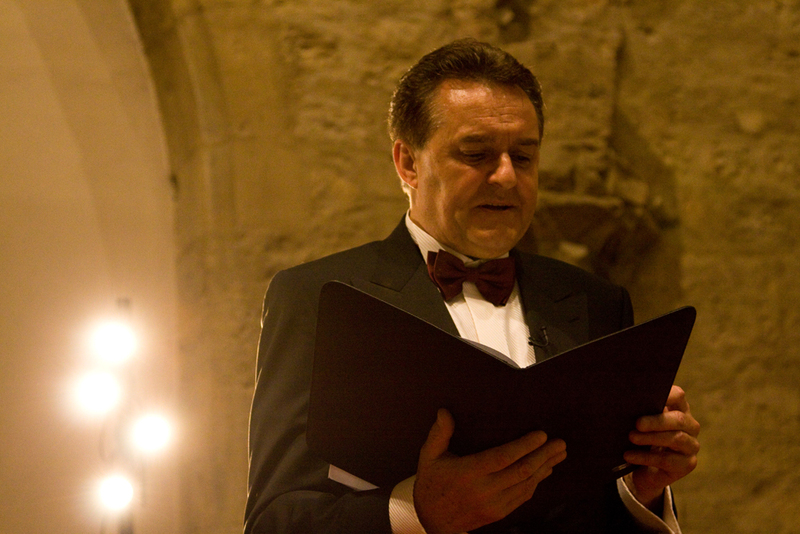 6, Praha 1), as a part of the 15th Poetry Day Festival. Free entry. Main purpose of the Poetry Day Festival is raising awareness of the poetry. This festival is annually held to commemorate the birth of the Czech poet Karel Hynek Mácha (*16th November 1810). For more details visit websites http://www.Brikcius.com , http://www.DenPoezie.cz , http://www.FaceBook.com/Brikciusova , http://Twitter.com/Brikciusova and http://www.Husiti.Majestat.cz . 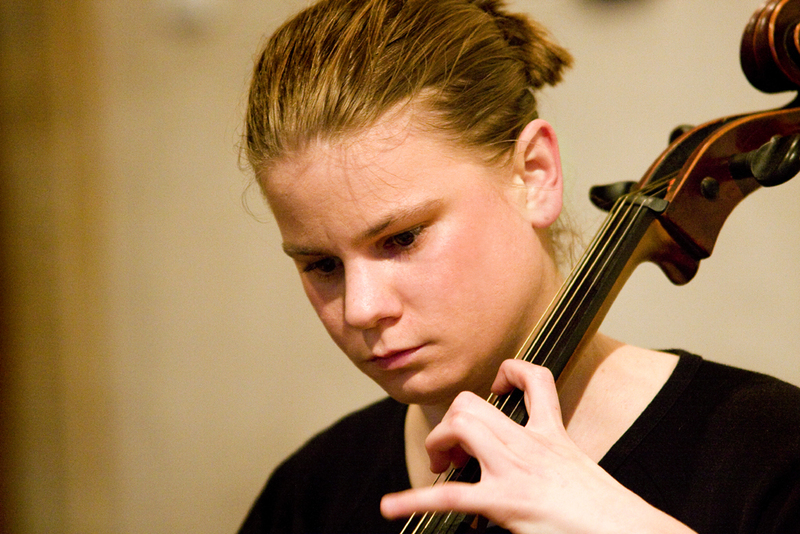 Czech cellist Anna Brikciusová was born in Prague, into a family with a distinguished cultural background. From early childhood she began to play the cello. After her studies at the Prague Conservatory, in cello classes of Prof. Jaroslav Kulhan and Prof. Viktor Moučka, Anna graduated under the tutelage of Prof. Vladan Kočí. Cello consultations with prof. Stanislav Apolín. She has actively participated in many international cello master classes. French Academy (Prof. J. Bárta), Jihlava International Master classes (Prof. D. Sella, Prof. E. Rattay), International Cello Interpretation Master classes (Prof. S. Apolín). She has performed in the Czech Republic, Bosnia and Herzegovina, Germany, Sweden, and the United Kingdom. Anna Brikciusová plays a "Benjamin Patočka" cello made in 1913. Together with her brother František Brikcius, she is a founder member of the "Duo Brikcius". They both appeared as part of the "Duo Brikcius - 2 Cellos Tour" in the Czech Republic and abroad (Algeria, Bosnia and Herzegovina, Germany, Poland, Sweden, Turkey, the United Kingdom). More information is available on websites http://www.Brikcius.com , http://www.FaceBook.com/Brikciusova and http://Twitter.com/Brikciusova . Jan Židlický was born in 1949 in Prague. He graduated at Husova bohoslovecká fakulta. His first placement was CČSH parish in Hostomice pod Brdy. Pastoral work of Jan Židlický ended StB Beroun. Following years he worked at heater room, at cemetery in Nový Bor, in factory Velox Všeradice, in "výměník" of Pražské teplárny, in Orlické Hory Museum (OMOH). After revolution in 1989 he was chief of culture department at the Rychnov nad Kněžnou office. Since 2000 Jan Židlický is priest of CČSH at the Church of St. Jan Křtitel na Prádle in Prague.